Optus has announced the upgrade of its mobile network to the LTE-Advanced Pro standard (aka 4.5G) in the area around its headquarters in Macquarie Park, Sydney, saying the technology will be rolled out to provide 70 per cent coverage in Sydney, Melbourne, Brisbane, Perth and Adelaide over the next 12 months. The move comes just a year after Optus announced a trial of the technology in Newcastle. 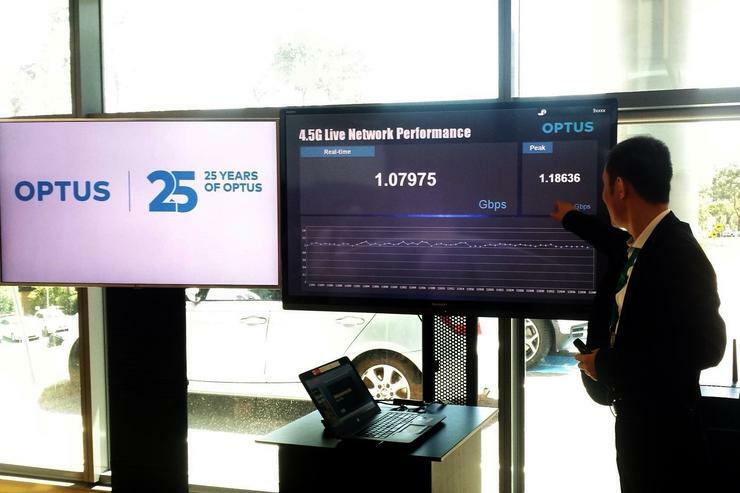 At today’s launch Optus demonstrated downstream bandwidth in excess of 1 gigabit per second. However at present there are no commercially available mobile devices that support LTE A Pro. 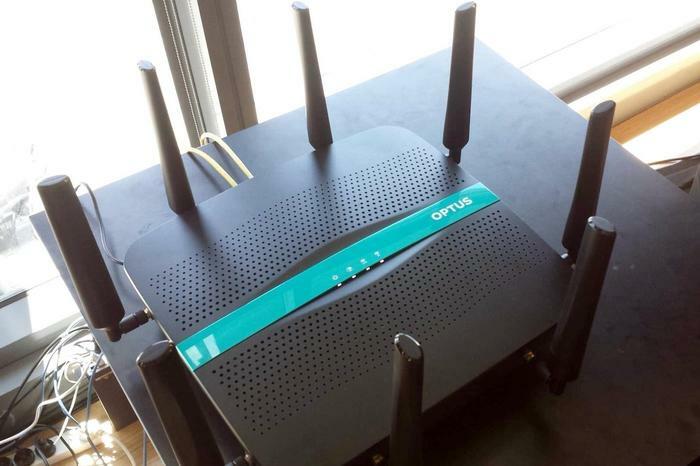 Optus demonstrated the service to a fixed device resembling a Wi-Fi modem with multiple antennas and said it would have commercial version available in the next few months. However Optus said that the upgrade would increase the capacity and efficiency of the network, which would benefit all users. It intends to offer an LTE S Pro service for fixed wireless communications in businesses in Macquarie Park. To date the technology, supplied by Huawei, has been installed on 20 cell sites in the area and according to Optus CEO Allen Lew there are 400 businesses employing some 95,000 people in the area. Lew said he believed some LTE A Pro devices would be announced at Mobile World Congress, which opens next week. Meanwhile Telstra last month launched the Nighthawk mobile phone sized portable Wi-Fi hotspot demonstrating downstream speeds in excess of 1Gbps on its LTE-A network. In the case of both LTE A and LTE A Pro the higher throughputs are achieved using a combination of technologies: carriers aggregation in which bandwidth at different frequencies is combined; multiple transmit and receive antennas; and a more advance modulation technique known as 256QAM. Optus used the occasion of the launch to talk up its 5G credentials and to announce a trial of a component technology of the 5G standard, massive MIMO. It headed its press release on the 4.5G upgrade “Optus laying the foundations for 5G” and Lew made much of the fact that Optus is the only mobile operator in Australia to hold spectrum in the 3.5GHz band, which has been designated internationally for 5G. Optus acquired the spectrum when it bought Australia’s first broadband wireless network operator, Unwired (later renamed Vivid Wireless). For the 5G trial Optus has upgraded one cell site in Macquarie Park to 128 x 128 MIMO – meaning there are 128 transmit and receive antennas, using technology supplied by Huawei. The technology increases throughput by being able to use multiple signal paths and also by electronically steering the antennas to focus them on individual units within the coverage areas. This technology is presently operating in an existing LTE band, 2.3GHz, and, as with the 4.5G cell sites is capable of supporting communication to any standard LTE device. However at present Optus is using the technology only for internal trials. It says it expects to launch commercial 5G services in 2020.